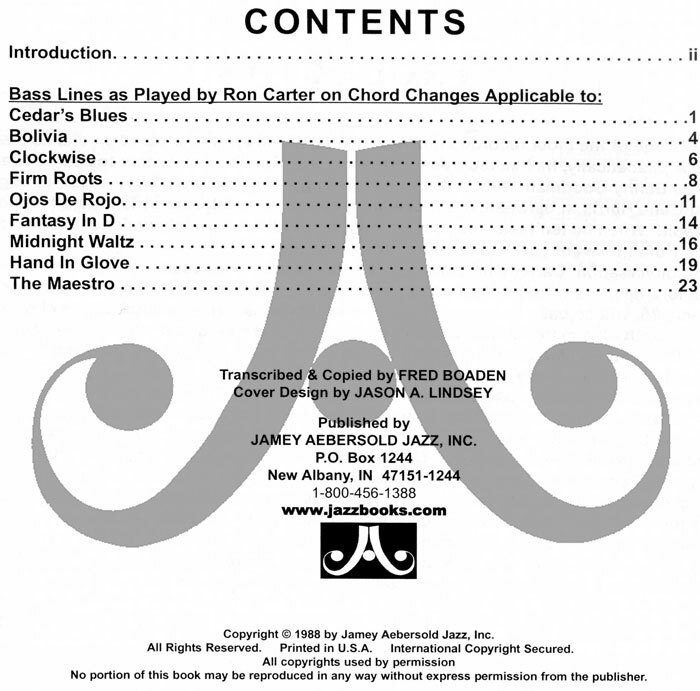 All the bass lines from the popular Vol. 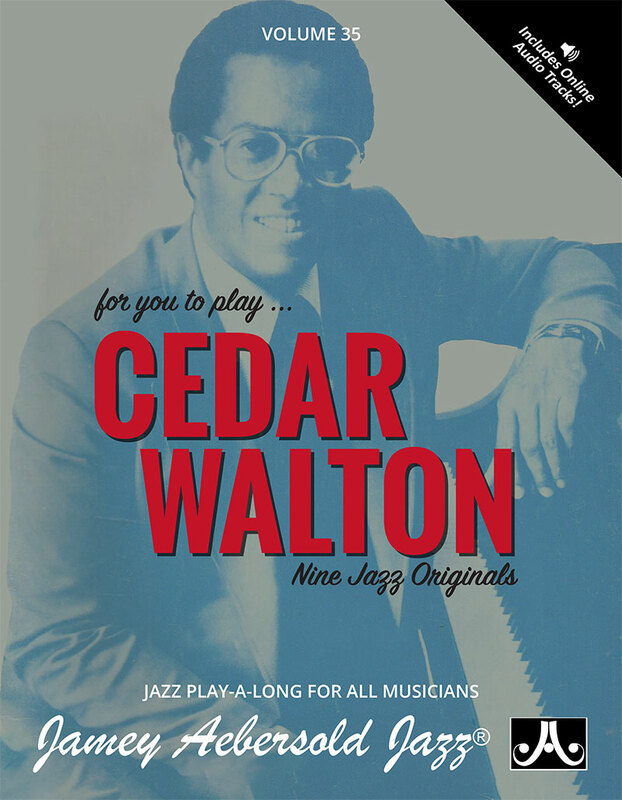 35 "Cedar Walton" Play-a-long; as played by bass legend Ron Carter! For All musicians wishing to learn fantastic bass lines. 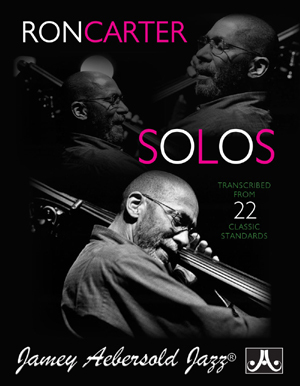 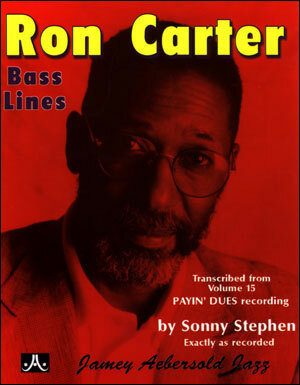 While reading from the book, play along with Ron Carter on the CD (CD sold separately with the Vol. 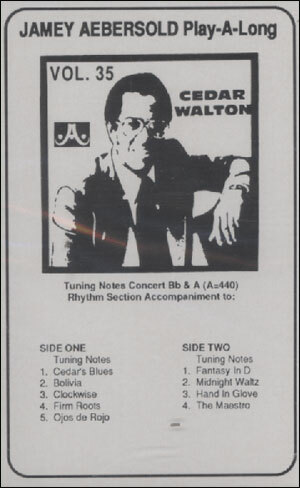 35 play-a-long; see "related Items" below) until you feel you’ve mastered his “feel” and nuances. 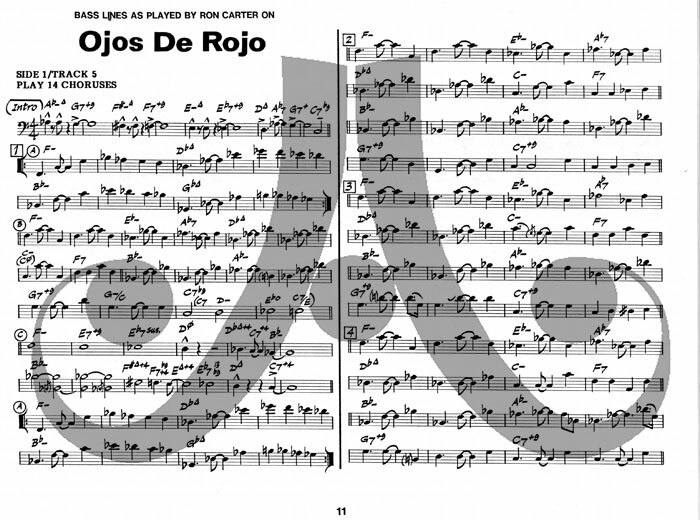 Then, using the special stereo separation on all of our Play-A-Long recordings, switch the Mr. Carter's track off and play along by yourself with just the piano and drums! 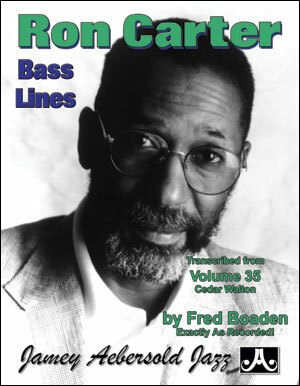 This book (like all the Aebersold bass line transcription books) is a great study in professional bass line construction, and is a natural companion to the Aebersold Play-A-Longs. 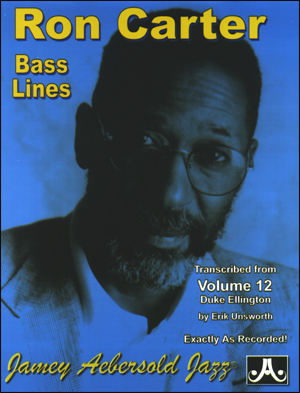 Combo instructors can use this book to give their bass students instant, professional bass lines. 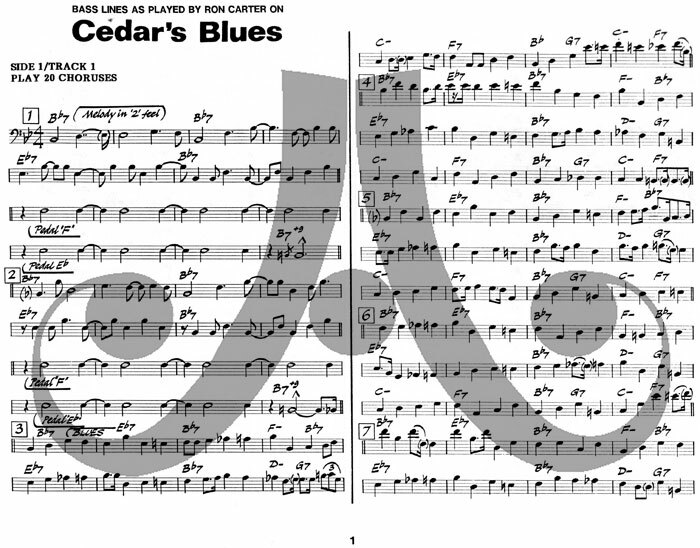 Includes notes in bass clef with chord symbols above each measure. 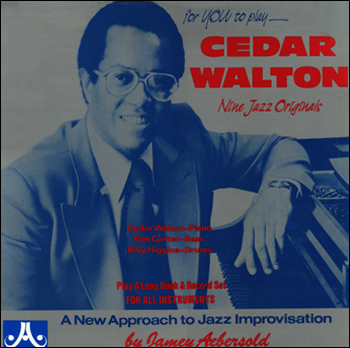 Includes bass lines to the chord changes of: Bolivia, Cedar’s Blues, Clockwise, Fantasy In D, Firm Roots, Hand In Glove, Maestro, Midnight Waltz, and Ojos De Rojo.